A pregnancy is usually detected via a blood test or a urine test, and often women get to know of their pregnancy when they happen to miss their period in a month. This often takes a month's time. 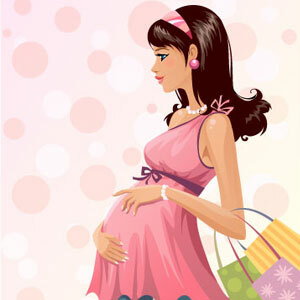 However, there are certain signsof pregnancy which can help you track it before the missed period. These signs vary in every woman; some can experience all of them while some may have no signs at all. Here let us understand the early signs of pregnancy. Morning Sickness: When you are pregnant, your body undergoes several hormonal changes. Owing to these changes, the body experiences a lot many things. Morning sickness is said to be the most common sign of early pregnancy. It often says throughout your pregnancy period. It is named so because when you wake up in the morning you feel nauseous and extremely tired. Fatigue: Due to the hormonal changes going within your body, you will feel at loss of energy. You will be tired without any justified reasons and would often feel like resting. Breast Changes: Your breast also undergo some changes during the pregnancy period. They become tender and extremely sensitive to touch. Frequent Urination: When you are pregnant, you will have urgent need of visiting the restroom more often than usual. Frequent urination stays throughout the pregnancy period. Constipation: Pregnancy also affects your digestive system and causes constipation. Drinking excessive water and exercise are the only solution of constipation. Dizziness: You may feel dizzy at different occasions during your initial months of pregnancy. For the first four months, it surely isn't a problem to fear. However, if it persists then you should consider taking medical help. Headache: Headache is the most common problem faced by pregnant women in the first four months. If Preeclampsia or toxemia also starts with headache, it becomes necessary to consult a doctor. Heartburn: Heartburn is another common sign of early pregnancy. Due to the hormonal changes, your digestive system slows down often resulting into constipation and heartburn. Backache: Backaches are experienced by pregnant women in first for months. This is also a common symptom that occurs during early pregnancy. Missed Period: And above all, a missed menstruation period is a sign that you are pregnant. However, in some cases, periods may be irregular or late. In the first three months, most of the women experience light bleeding. Light bleeding is also the symptom of miscarriage. So don’t forget to consult with some doctor if you are suffering from light bleeding. The most common way of identifying early pregnancy is doing a pregnancy test. This test measures HCG (human chorionic gonadotropin) hormone in the body. The pregnancy test uses a chemical strip. When urine gets mixed up with the chemical, strip’s color changes. This color indicates positive or negative pregnancy result. You must avoid doing the pregnancy test on the first day of the missed period. Wait for at least ten days so that HCG level can easily be detected in your urine. Some doctors also suggest blood test for confirming pregnancy. Watch out for the early signs of pregnancy so that you can take the necessary measures.